The 2018 Youth Olympic Games (YOG) are underway in Buenos Aires, Argentina with the paddlers joining the action from Friday local time (12-16 October 2018). 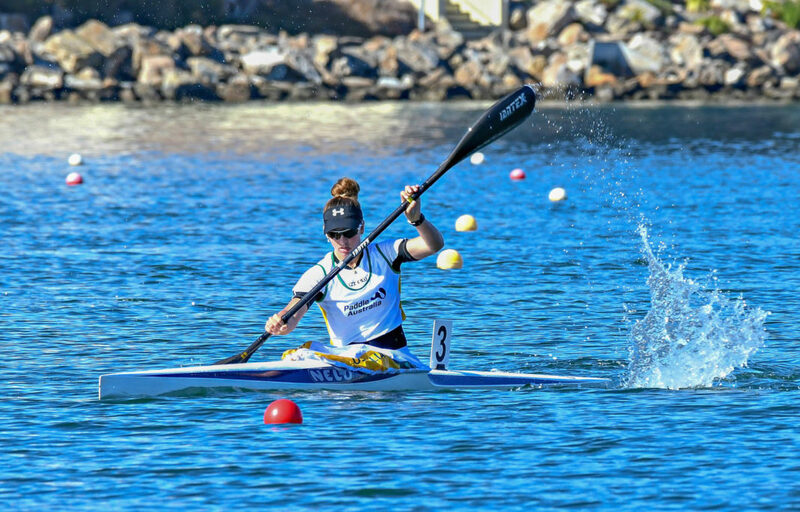 Paddle Australia’s Jenaya Massie (QLD) will be part of a group of 64 athletes from more than 30 nations who will be competing in Buenos Aires. 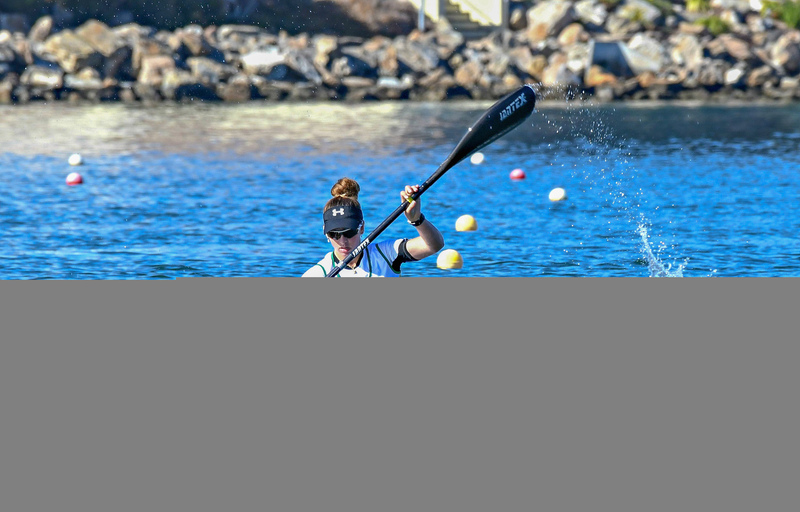 She will be contesting the women’s K1 in the special YOG canoeing format that will see all athletes compete in both canoe slalom as well as canoe sprint events. Testing the true versatility and dedication of the Youth Olympians, athletes will compete in both a head-to-head sprint and a head-to-head slalom obstacle course on flat water. Sixteen-year-old Massie was selected as the sole Australian representative at YOG after securing the quota for the Oceania region at the World Youth qualifying event in Barcelona, Spain in April. Some of the biggest names in the sporting world began their international careers at the Youth Olympic Games, including YOG ambassador and dual Olympic medallist Jessica Fox. 24-year old Fox won gold in the women’s obstacle canoe slalom at the inaugural Youth Olympic Games (YOG) at Singapore 2010 and said the event played a big role in where she is today. “The YOG in 2010 was an incredible experience as a 16-year old. It was my first ever YOG, my first ever Olympic team and a really cool experience. I won my event and it was really special to be part of that Australian Olympic team, to see the Olympic rings on my chest and to be wearing the green and gold as part of a bigger team,” Fox said. 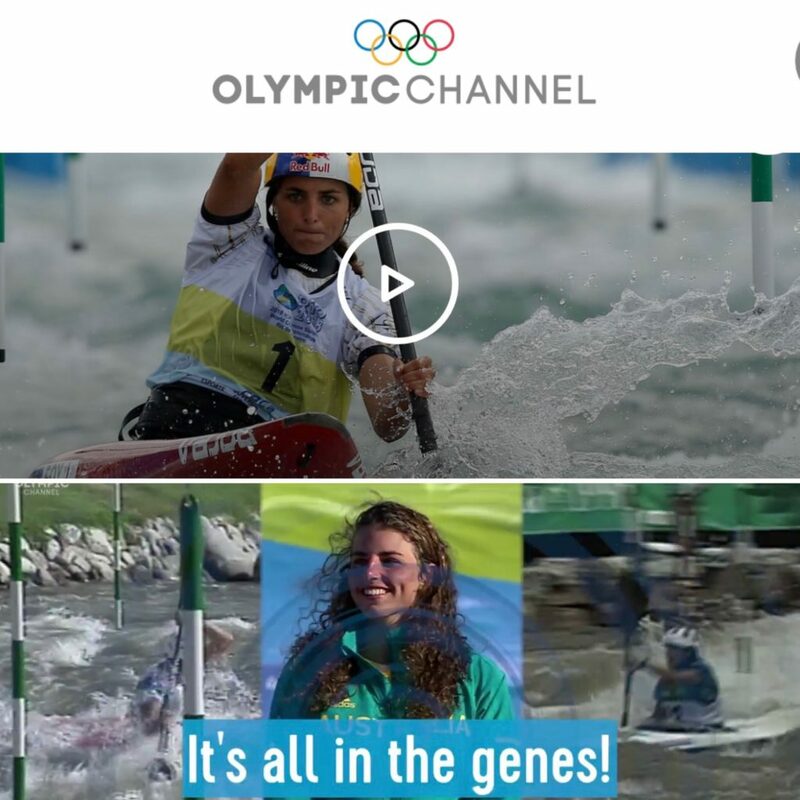 Only a couple of weeks, Fox became the greatest female slalom paddler of all time and the most successful individual slalom paddler after winning double gold at the 2018 Canoe Slalom World Championships in Rio de Janeiro, Brazil and breaking the two records that were previously held by her parents. “It’s been my best ever season and to win two world titles and celebrating in Buenos Aires with everyone has been amazing, Fox said. “To overtake mum as most successful female athlete in the sport has been very special. “There are no hard feelings, she’s taken it really well and it’s something we’ve been able to share because it is as much her win as it is mine. It’s something I would have never expected in my wildest dreams, when I started out in the sport so it’s been super special”, Fox said about her record-breaking season. Following her historic season finish, Fox went straight over to Argentina in her role as YOG ambassador to support the athletes, who are at the stage where she started her successful career. “Enjoy the experience, share the experience with those around you and with friends and family when you get home, your team mates, your clubs and inspire those around you. It’s an amazing opportunity to represent your country. Be proud and do your best and enjoy it. The best of luck to Jenaya and all the other Aussies competing,” Fox said. Like Jenaya Massie, Fox was first a kayaker before trying canoe slalom. And it is Fox’s story, approach and success that motivates and inspires Massie for her upcoming premier at the Youth Olympic Games and contesting both the sprint and slalom events. “Having Jess over in Buenos Aires has been so good. She is at the top of the sport and knows all the small tricks. She has also been exactly where I am and knows what the excitement and nerves are like at this high level of competition,” Jenaya Massie said. 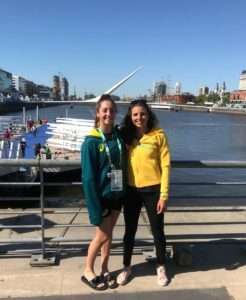 Jenaya Massie comes to Buenos Aires after having most recently competed at the Olympic Hopes Regatta, an international canoe sprint event for U16 Olympic hopefuls. She was coached by Olympians Kenny Wallace and Alyce Burnett at the regatta and has arrived in Buenos Aires with extra confidence as a consequence. 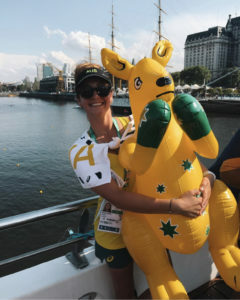 “The Olympic Hopes Regatta was an amazing experience and racing overseas in a kayaking regatta before racing the majority of the same girls here at the games has allowed me to know where the others are at and to be able to work on my own international racing experience,” the Sunshine Coaster said. “Our two coaches for this trip Alyce Burnett and Kenny Wallace, were incredible. 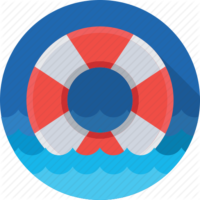 They shared their high level knowledge with us and their professional help allowed us to feel well prepared for the racing and to be stress free over the three day regatta. “They know what they are talking about from their own Olympic experiences and were able to teach us particular skills and tricks of the trade that they have mastered and gave us the self-reassurance of the hard work that we have put in,” Massie said confidently. 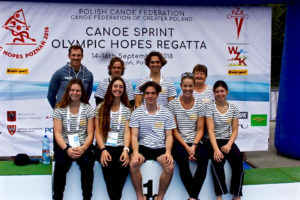 The canoeing competition at the Youth Olympic Games will test the skills of the athletes across both canoe slalom and canoe sprint. A challenge Jenaya Massie is looking forward to and despite coming from a sprint background, it is the slalom she is looking forward to the most. In Buenoes Aires the competition will start out with the canoe sprint races 12-13 October. In Canoe Sprint, athletes paddle on a circuit course, and compete head to head against each other. The canoe slalom obstacle race will follow 15-16 October with athletes competing on a calm water surface as opposed to a natural river or artificial slalom course. However, they still need to demonstrate the skills of a slalom paddler by manoeuvring around gates and beating the other athlete’s time on the course. “In the sprint kayak, the biggest challenges with the event format will be on the turns if the course is windy and choppy. However, since I am very used to paddling a surf ski in the ocean, this should not affect me as much as others,” the experienced surf-ski paddler explained. It was Massie’s father Ashley Massie who taught her to respect and understand the ocean. Ashley was an Australian Junior Ironman Champion and runner up Open Ironman Champion to Darren Mercer. He was also the winner of the Australian Open Men’s Double Ski with former Australian Kayak Olympian, Clint Robinson. All this considered, being able to dominate in the water was bound to run in Jenaya’s blood. “Dad was lucky enough to compete in the Nutri Grain Ironman series during the era of surf dominated by Trevor Hendy and the Mercer brothers. I started as a Nipper at the age of six at Maroochydore SLS Club and have been fortunate to train alongside and meet many of these Australian Olympians and legends of surf. 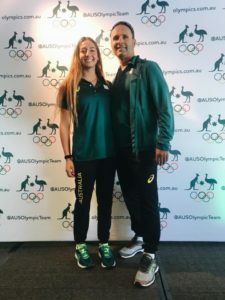 “I swim under Janelle Pallister (nee Elford) who is also an Australian Olympian in the pool and my kayak coach is Shane Dalziel, World Marathon Kayak Champion. “I have been incredibly blessed to have these amazing athletes in my life, which I think, makes you who you are at the end of the day,” she said. Training opened in Buenos Aires earlier this week and Massie has been making the most of the time available to get prepared. “The slalom course brings particular challenges that I was not able to train for at home and the ramp is the first major challenge that can be perfected, the technique of hitting the ramp at the right angle to allow a clean entrance to the water is a skill that can lead to taking seconds of times and it’s good to get some training in,” Massie said about her preparation. The course also includes a 360-degree turn that is done twice and tests the athlete’s ability to manoeuvre around the buoys in the quickest way possible. “There also is a Eskimo roll we have to do. It helps if the boat stays straight when rolling to allow the first stroke to be easier when back up. Time is wasted if the boat turns and isn’t straight when rolling and brings the risks of going outside of the buoys,” Massie explained. All competitors will be provided boats, but Massie is confident that the Olympic Hopes regatta prepared her well for that challenge as well. “You never know what happens with a boat you are not used to. Luckily though, Kenny Wallace and Alyce Burnett taught us how to fix any boat or rudder issues at the Olympic Hopes regatta,” Massie added confidently. 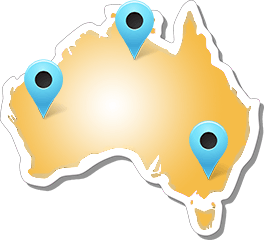 Select action will be broadcast live at Olympics.com.au through the 24/7 stream provided by the Olympic Channel, who are also responsible for the schedule of events. 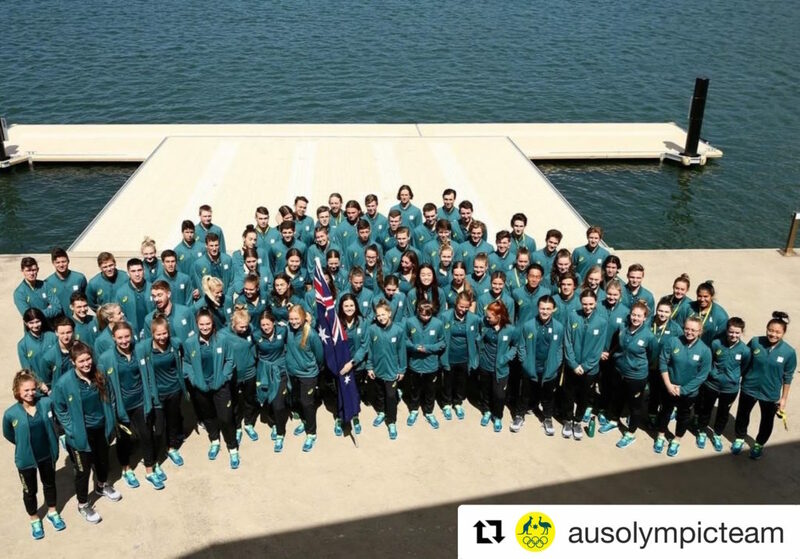 Eighty-eight of the nation’s brightest young sporting prospects will represent Australia at the Buenos Aires 2018 Youth Olympic Games (YOG), the world’s largest multi-sport competition for young athletes. 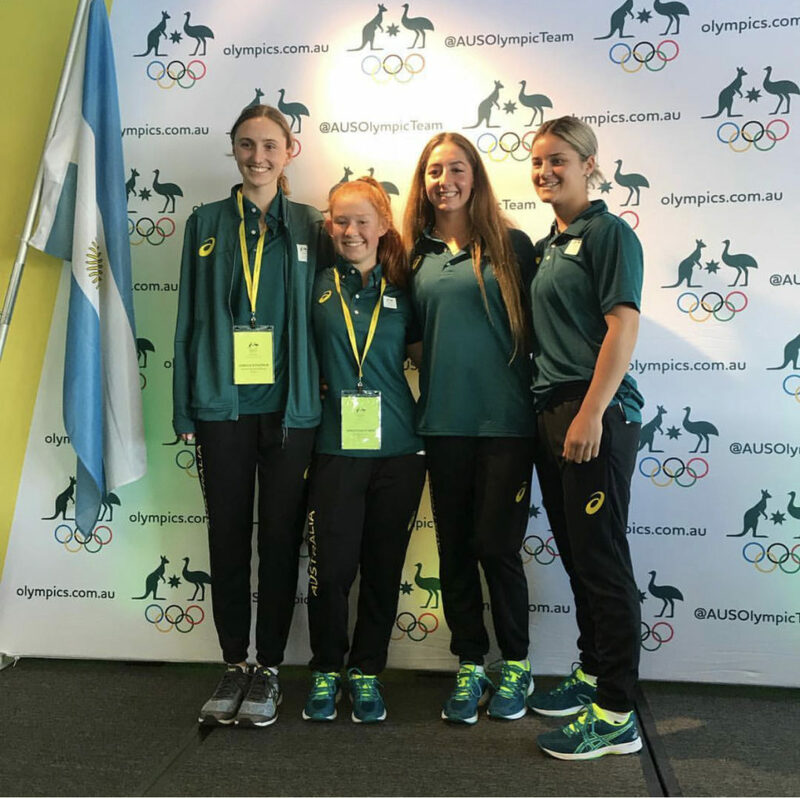 The Australian Team will compete against 4,000 athletes, aged 15-18 from 206 countries in the Argentinian capital across the 10 days of competition, running 6-18 October. The Australian YOG Team is made up of 47 (53%) female and 41 (47%) male athletes. Hockey 5s will boast the largest sport section (18 athletes), with both a female and male Australian Team competing at YOG for the first time.